It’s common knowledge that the Jeep has a long-standing reputation for off-roading, but you really need to get behind the wheel of this performance SUV to fully immerse yourself. And with a seemingly endless amount of Jeep performance parts at your disposal, the fun never ends. Whether you’re taking on Waukesha in a Jeep Cherokee, Wrangler, or Grand Cherokee, we have something in stock for you. View our online inventory below before visiting us near Milwaukee for a test drive! Ready to see what a Jeep can accomplish? 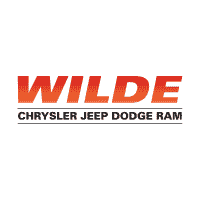 Visit Wilde CJDR near New Berlin for the test drive of a lifetime.